There are many articles online about losing weight by increasing or decreasing metabolism. However, most are written unambiguously, while the truth is not so certain. Let us learn what is metabolism exactly and how do you use it to lose weight. Can You Increase Your Metabolism? Metabolism Boosters for Men and Women: Are They Different? Our body is a huge and complicated living structure. There are millions of processes happening every second. All these processes require energy that is taken from calories. Therefore, metabolism means the calories transformation into energy. However, metabolism is not simply a digestion. It is a complex process that is hard to control. It includes diet, physical exercises, sleep – everything happening to your body. All the components affect metabolism differently; and all of them are affected by metabolism. 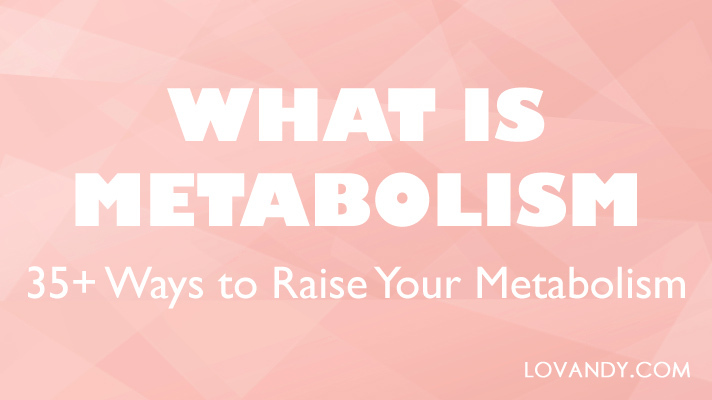 To understand what is metabolism you need to learn about metabolic rate. In general, this rate means how fast your body burns the calories it gets. You might think that with a higher metabolic rate you lose weight faster. However, it is much more complicated. We will discuss that further. Your body needs energy for all the vital activities: breathing, maintenance of heat, heartbeat, blood circulation and coagulation, internal organs functioning etc. 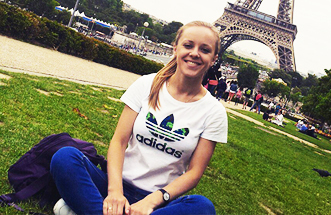 However, much more energy is needed for your daily activities: walking, jogging, swimming, even shopping. Depending on what you do during a day, your metabolism varies. That is why you need to know some base numbers so that to be able to control the metabolism. It is where BMR come in hand. The number you get is the amount of calories you burn a day. This means that if you consume the same amount, your weight will not change. Notice that this value is the metabolism if you are resting the whole day. 1.9 for very hard exercise and physical job. To give you an understanding on how to use the formula, let us consider a few examples. Say, your weight is 160 pounds. You are a 25 years old female with a height of 5 feet and 10 inches. According to a formula, your BMR is 1551 calories per day. If you are moderately active (exercising 3-5 days a week), your body burns 2404 calories per day. With a weight of 200 pound, a height of 6 feet and an age of 40, your BMR would be 1689. With a sedentary lifestyle, you burn 2027 calories per day. An 18 years old female with 120 pounds of weight and 5 feet 30 inches height has a BMR number equal 1722. Being very active (6-7 days of exercises per week), she burns 2971 calories per day. Considering mentioned, people come to conclusion that if they consume less calories than BMR, they will lose a proportional weight. However, metabolism does not work this way. If you start eating less your body will adjust to a new diet. Therefore, BMR will slow down to meet the level of calorie intake. As a result, you will have less energy, your concentration will lower and you will not rest when sleeping. These processes may lead to a weight gain. Therefore, it is a much better idea to increase your metabolism. Summing up, eating less will not help you lose weight. You need to make your metabolism rise. As it happens, more calories are needed for your body to function. Controlling your diet, you can manipulate the weight loss. The answer is ‘yes’. High metabolism is associated with a healthy lifestyle; therefore, you should increase it. However, it is hard to perform nowadays. The thing is many products we consume do not contain enough nutrients. We eat a lot, but do not get much vitamins from the food. As a result, the body thinks we do not consume enough nutrients and lowers the metabolic rate. It leads to weight gaining, as many calories are turned into fat. First of all, change your diet. Healthy food is one of the most important things affecting your body. To make the BMR increase, you have to consume more vitamins and nutrients. As your cells receive them, the brain knows that there is a ‘good’ period and it does not need to save calories for later. Secondly, do some exercises every day. They make you burn calories, so the BMR naturally increases. If you do not eat more than before starting to exercises, the body will have to get energy from fat. Moreover, exercising makes energy go to muscles. Thirdly, it is a good idea to consume some supplements and vitamins. As we have mentioned, modern food from supermarkets is not as healthy as it is meant to be. Therefore, you need to get nutrients somewhere. As we have just learnt, changing your diet is the most important step to increasing metabolic rate. Therefore, stop eating any junk food (especially with a high concentration of cholesterol), do not drink much alcohol. Whole-grain products. These foods contain a lot of fiber. Your body spends many calories to digest it, so the metabolic rate increases. Whole-grain products preserve all natural microelements and vitamins. To start your day right, eat oatmeal for breakfast. It helps keep the balance of sugar in blood as well. Beans (peas, garbanzo beans, lentils etc.) These plants contain starch that is also hard to digest. In addition, it cleanses the intestines, so your diet normalizes. All beans are very nourishing and highly calorized. However, there are no harmful fats in them. Boiled chicken contains high amounts of protein, so it is ideal for accelerating metabolism. Amino acids are useful for your body, especially muscles. Eating chicken meat can help you increase metabolic rate up to 50%! Many kinds of fish and seafood are high in vitamins. Moreover, they help lower the amount of leptin in your body. This hormone affects metabolism and leads to weight gaining. The less you have, the easier it is to increase BMR. Grapefruit and other citrus fruits. Grapefruit contains a lot of water. It is low-calorized, almost free of fats and proteins, but full of vitamins. In addition, it contains half the daily intake of vitamin C. Grapefruit is one of the most effective remedies against fat. All citrus fruits stimulate metabolism nicely due to a unique set of vitamins, microelements, fruit acids and fiber. Apples stimulate the metabolism in your body. They are necessary for good health as well. To speed up your metabolism, eat a few apples a day. In this case, it is desirable not to clean them from the peel, since it contains a lot of vitamins and nutrients. Dairy products are powerful stimulants of metabolism. Scientists believe that this effect is due to the high content of calcium in them, because its deficiency is a real threat to proper metabolism. If you eat dairy products three times a day, you can accelerate the metabolism up to 70%. Spices: ginger, cinnamon etc. To diversify your diet, use some spices. They both help make the dish tasty and can increase your metabolism up to 10%. Spicy peppers (such as Carolina Reaper) contain a substance called capsaicin, which can significantly affect the metabolism. It is found in many types of peppers. Food, seasoned with hot pepper, accelerates the metabolic rate by 25%. The effect will last several hours after eating. Spinach is a nice metabolism catalyzer. It contains a lot of manganese, which is needed for a proper metabolic rate. There are also many other useful features of this plant, so it is all beneficial for your body. In addition to healthy foods, you should drink only useful beverages. Stop drinking cola or soda – they are highly calorized, but not very beneficial. Yes, it is that easy. Water participates in all metabolic processes. Drinking enough water (up to 3 liters per day) enables your metabolism to work at maximum speed. Drink it as often as you remember, even if you are not thirsty. Coconut water. Some studies show that coconut water naturally improves metabolism by 25%. A glass of this beverage grants you many vitamins and increased metabolism. You can also add a teaspoon of edible coconut oil to 500 ml of water. There is no better drink for increasing metabolism than coffee. A cup of espresso speeds up the BMR by 5%. However, drink only natural, freshly brewed coffee in the morning. Green tea. Due to its unique property to accelerate the process of burning complex fats, green tea is a part of almost all known diets. Many doctors and nutritionists have proven the benefits of this drink. We have said that all dairy products are useful for increasing metabolism. Milk is no exception. Drink a cup of warm milk with honey before going to sleep. It will help you rest, while increasing the metabolism during the night (which is also important). Let us name the most useful vitamins for increasing your metabolic rate. You can buy some in a pharmacy, but consult with a doctor first. Vitamins B1, B2, B6, B12. All these are good for any diet. They help increase metabolism nicely. The other important thing about these vitamins, you can hardly consume too much. B4 vitamin. It helps to digest fats and removes cholesterol from blood, therefore increasing the BMR. This vitamin is necessary for a low-calorie diet. Coupled with choline, it contributes to the processing of fats. However, ask your doctor before consuming this vitamin as is. Vitamin C. It prevents the accumulation of glucose in the body, turning it into energy. The consumption of this vitamin improves metabolism a lot. Vitamin A. It promotes a better digestion of iodine, which is known for its beneficial effect on the function of the thyroid gland. The normal operation of this organ directly affects your metabolism. Vitamin D. It is used in building new muscles, so the more vitamin D you consume, the more calories will be used directly. Calcium is beneficial for many features, including metabolism increasing. It also prevents the accumulation of fats. Chromium perfectly copes with the processing of carbohydrates and removes the feeling of hunger. This element speeds up the metabolism, and is responsible for the level of sugar in the blood. Folic acid affects the acceleration of metabolism, strengthens the immune system and helps to cleanse the body. Omega-3 fatty acids regulate the leptin level. This means they can directly affect the metabolism in your body. There are also some ready supplements for metabolism increasing. However, using them may not be beneficial for you. Consult with your doctor or personal trainer before including any to your diet. Thermogenic supplements. Made from a cocktail of ingredients, this supplement helps increase heat in the body and enhance your ability to burn fat. You should consume it only if you do some exercises. This element (used as a separate supplement) can help insure that your thyroid gland stays healthy and produces the hormones to keep your metabolism and energy at optimal levels. Dietary fiber. You can eat some as is, if you need a big amount of vitamins and nutrients. This will come in handy for those who cannot eat at work. However, dietary fiber is not a food replacement. It is also needed for your thyroid gland. With a nice amount of zinc in the body, your immune system works properly, so the gland can stimulate metabolism freely. This substance helps kick start your metabolism. Some studies have shown that obese people who took resveratrol supplements for a month saw a similarly positive effect on their sleeping metabolic rate. In fact, it is not even necessary to go to a gym if you want your metabolism increased. Walk more. You should walk 10000 steps per day. This way you will increase your metabolism significantly, especially if you have a sedentary lifestyle. It is also important to use stairs more. Climbing them stimulates many muscles, so fat is burnt faster. Jumping Jacks. This simple exercise can rapidly increase your metabolism. In fact, any jumps are useful. Stand with your arms at your sides and your feet straight. Then jump, spreading arms and legs. Repeat for 20-30 times. This exercise fits anyone with any physical condition. The difference is in the amount of times you can repeat it. Anyway, it really does increase the BMR. Kick your feet back and do a push-up, then make a squat, stand up and jump as high as you can. Repeat it for as long as you can (or want). Mountain climbers. Kick your feet back and pull one of your legs forward, then another. It will make your core work nicely, therefore making your metabolism increase right away. Metabolism is a complex process, as we have learnt. It is affected by many factors, so male and female metabolism varies. Even the BMR formula is different. Therefore, all the named ways of increasing metabolism will help differently. However, all of them are equally useful. This means the foods or exercises we have discovered have no contraindications for any gender. Changing your metabolic rate is a personal thing, so a gender does not affect it as much as many other factors do, such as habits, hormonal background etc. If you want to lose some weight or just help your body stay healthy, you should try to increase your metabolic rate. To do so, you need to change your lifestyle. Everything we have mentioned works if done together. Therefore, eat healthy food, do some exercises and your metabolism will naturally normalize.